Help Us Cash In! Buy the Book! Buy the DVD! See the Movie “The Lost Tomb of Jesus”! Not too long ago it was “The Da Vinci Code” that took a swipe at Jesus, His divinity, and Christianity in general. Numerous books, as well as articles on this and other web sites, have been published that expose the lies and deceptions contained in the book and movie of the same name. And just as the Easter is approaching, once again we have an attack on Christ and His church. Movie director James Cameron, an Israeli-born Canadian named Simcha Jacobovici and friends have released a “docu-drama” entitled “The Lost Tomb of Jesus”, (see the web site www.jesusfamilytomb.com for more). A book by Simcha and Charles Pellegrino entitled “The Jesus Family Tomb: The Discovery, the Investigation, and the Evidence That Could Change History” was released by Harper-Collins to coincide with the release of the movie. The “Lost Tomb of Jesus” movie played on the Discovery Channel in March 4th, and was one of the most watched programs due to the nature of the attack on Christian beliefs, the carefully orchestrated build up, the press release, James Cameron’s “Titanic” reputation, and the sensational claims the movie made about Christ, and Christianity. Does this attack on Christian beliefs sound familiar? (can you say “The Last Temptation of Christ”, “Jesis Christ Superstar”, and the latest fantasy – “The Da Vinci Code”?). Do the claims stand up to scrutiny, and a careful examination of the evidence? First of all, this discovery of a tomb outside Jerusalem was nothing new. The “Lost Tomb of Jesus” is actually referred to in archaeology circles as the “Talpiot Tomb”. It was actually discovered in 1980, when construction workers stumbled upon an old tomb at a construction site just outside Jerusalem. Archaeologists were called in, and they removed 10 ossuaries, or small stone boxes, that were used to stone the bones of the deceased after their bodies had decomposed. No doubt observant of the money “The Da Vinci Code” garnished, James Cameron,Simcha Jacobovici and friends organized seized this old find and re-cast it as an exciting, “new” discovery – “one that might rock the foundations of Christianity”. Ignoring the scholarly community, and even the archaeologists who made the discovery, they concocted a Hollywood “docu-drama” that relies more on “smoke and mirrors” than the real facts. 2) That Mary Magdalene was buried in one of the stone boxes. The movie notes that another reads in Greek ‘Mariamene e Mara’, which filmmakers by a wild stretch of imagination claim translates to Mary Magdalene’s real name. The claim of the film is that since the remains of Jesus and Mary Magdalene are in the same tomb, they must have been a pair. 3) That DNA “evidence” proves Jesus and Mary Magdalene were a couple. Filmmakers also claim DNA obtained from human remains in the coffins suggests Jesus and Mary Magdalene were a couple. By using the term “DNA”, the film attempts to legitimize this fanciful claim made popular by “The Da Vinci Code” and other books. Lets look at the facts (see below). 4) That the odds are “600-1” in favor of the tomb belonging to Jesus’ family. Its common knowledge that with statistics you can “prove” almost anything. In this case, the numbers rest on a flimsy foundation, and a very questionable set of assumptions. See the “statistics” discussion below. 5) That one of the stone boxes held the remain of the son of Jesus and Mary Magdalene. Once of the boxes is labeled “Judas, son of Jesus”. Hence the claim is made that this once held the remains of the son of Jesus and Mary Magdalene. Is there any other corroborating evidence for such a claim? Lets consider the facts (see below). 6) That a 10th “missing” ossuary is the famous James Ossuary, previously discovered. The film claims a missing ossuary is the previously discovered “James Ossuary”, which is purported to have once held the remains of James, the brother of Jesus (see our article on the James Ossuary). The 10th ossuary went missing before it could be checked. Before we get into considering each of these claims in detail, let me make an observation. Naturalism, precluding the possibility of the miraculous. Its normal for most people to have had a natural father and mother, therefore Jesus must have been the product of Joseph and Mary – ie., we cannot rationally consider that God had a part in the birth of Jesus, we cannot seriously consider the miracle of the Virgin birth. But look, science confirms the fact of a “Big Bang” – essentially a “creation event”, when all matter, space and time arose from literally nothings. If the Creator pulled this off, would it be too difficult for him to cause Mary to have His child Jesus? Denial of the possibility of a miraculous resurrection. Jesus must have died and been buried, since resurrection from the dead is not “natural”. He couldn’t have possible risen from the dead (that would require a miracle, and we know that miracles can’t happen). Therefore His bones must have been lying somewhere – “and we think we have discovered them!”. Could these possibly be someone else’s remains? The movie and book starts with the assumption that there must have been a Jesus family tomb, since Jesus died, was buried, and must have ended up in a box; that He must have been married (since Rabbis in that day most often did); and that He had a family. It then interprets all of the evidence to try to support this theory, and discards anything that contradicts these assertions. What Do the Original Discoverers of the “Lost Tomb of Jesus ” Say? A carved stone tomb was discovered 1980 just outside Jerusalem, at a construction site. It is commonly referred to by archaeologists and other experts as the “Talpiot Tomb”. The key allegation is that this is the Jesus family tomb: that Jesua is Jesus, one of the Maries is his mother, the second is his wife, Mariamene e Mara, is Mary Magdalene, that Matthew is a disciple, and Judas is Jesus’ son. 1) If this is a family tomb, then why the inconsistencies in the inscriptions on the outsides of the boxes? The names on the ossuaries are in three languages - Aramaic, Hebrew, and one is in Greek : that of the supposed Mary Magdalene box. The earliest Jewish Christians in Jerusalem, including the members of Jesus’ family and Mary Magdalene, did not speak Greek. They spoke Aramaic. We have absolutely no historical evidence to suggest Mary Magdalene would have been called by a Greek name before A.D. 70. She grew up in a Jewish fishing village called Migdal, not a Greek city at all. It makes no sense that her ossuary would have a Greek inscription and that of her alleged husband an Aramaic inscription1. If these are all from one family, during the same period of time, one would expect them to all be in the same language at least! Perhaps a better explanation is that these boxes are from different families living outside Jerusalem over the course of several generations. Such stone caves were expensive, and often extended family members over several generations might be buried in one cave. 2) If there was a Jesus family tomb, it would not have been ornately carved into the side of a mountain just outside Jerusalem. Jesus' mother, sisters and brothers were from up north in Nazareth, and rarely came down to Jerusalem. Besides, after Jesus rose and Christianity started, the young religion was attacked and persecuted. James, Jesus' brother, was stoned in 65 AD (See the works of Josephus). Steven was as well. The Apostles were all martryed during this time, including Peter and Paul. If they had tried dig and place a family tomb right there near Jerusalem, where all this started, it would have been destroyed. And certainly the Romans and Jewish leaders would have love to have produced the bones of Jesus as evidence that He never rose. However the NT records say that they did inspect the tomb (apparently the real tomb), and the body was not there. It was also very expensive to have a rock hewn tomb, with ornately carved ossuaries. Jesus family was very poor, living up north. This was an expensive tomb, and far outside the means of Jesus' family. A more reasonable conclusion is that this expensive, rock carded tomb is most likely the tomb of a wealthy artisan family living outside Jerusalem. Not likely the tomb of a poor family such as Jesus'. 2) Why are the other key family members missing, and why are non-family members in the tomb? Why is there a box labeled "Matthew" when no such family members is recorded anywhere else (notwithstanding that there was a disciple named Mathew). The "tomb' contains boxes with Jesus, son of Joseph, Mary, and a “Mariamene e Mara". But where is Joseph's box(the dad)? And the other sisters of Jesus, and brothers? And the "James Ossuary" - why wasn't that in the tomb? James was Jesus immediately younger brother, and the leader of the Jerusalem church. Surely his box should have been there. But no. In fact, the James Ossuary was discovered in the 1970's, dug out of a tomb far away from this one. If this was the Jesus family tomb, surely we would have expected the closest brother to have been buried there as well! But he was not. 3) Why would ‘Jesus of Nazareth’ be interred in a box marked 'Jesus, son of Joseph'? No one at that time believed Jesus was the son of Joseph! The Jews believed Jesus was illegitimate - they did not accept that Mary had conceived as a miracle. And the Christians all of course did believe that Jesus was the Chosen One, the Messiah. IF we had discovered a box with the bones of Jesus of Nazareth, we would expect it to be labeled "Jesus of Nazareth" , or "Jesus, son of Mary", or "Jesus the Messiah" - or have some other extra ordinary inscription. But not "Jesus, son of Joseph". Richard Bauckham, an expert in New Testament studies, explains: “Jesus is never called ‘son of Joseph’ by anyone who knew him intimately in the NT— not by his family members, and not by his disciples. Indeed where this idea arises, for example, in John 6.42 the Jewish officials who are accosting Jesus call him ‘son of Joseph’ (cf. Jn. 8.41). These can only be called hostile witnesses, not those who were likely to have known the actual case. It is telling that in Nazareth itself, in our account in Mk. 6.1-6 in our earliest Gospel Jesus is called “the carpenter, the son of Mary”. Now in that patriarchal culture you don’t call a person a ‘son of their mother’ even if the father has died. That is a pejorative way of addressing a person, rather like calling them an S.O. you know what today. Did the people in Nazareth know there was something unusual about Jesus’ origins, and it disconnected him from Joseph? Yes they did, which is why they were angry and did not think Jesus had any right to teach them. He was probably viewed as a mamzer, as Dr. Bruce Chilton has argued—an illegitimate child. And this is precisely what James Tabor argues in his Jesus Dynasty book, claiming he was the son of a Roman soldier named Pantera. But of course now, he has reversed himself to support the Jesus Family Tomb theory! 4) That the Maria box was that of Mary, Jesus’ mother. Mary was the most common name among women (see statistics discussion below). A better explanation is that this was a Mary of the artisan family that owned this tomb. Mary, Jesus mother, was from up north (as was the rest of Jesus family), and it is more likely that she would be buried in the vicinity of her home town. “Mary Magdalene is called ‘Maria’ constantly in first century Christian literature, and indeed well into the second century as well. She is never called Mariamene or the like. It is anachronistic and inappropriate to bring in later Gnostic document evidence from the Acts of Philip or the Gospel of Mary, neither of which date before the end of the second century A.D. to make your case when you have perfectly good first century data to help you. In fact, in regard to the former manuscript what we have is a 14th century manuscript which is theorized to go back to the fourth century A.D. It does not identify Mariamene as Mary Magdalene, rather it identifies her as the sister of Philip the apostle. It is the unproven theory of Francis Bovon, without real supporting evidence that Mariamene refers to Mary Magdalene. 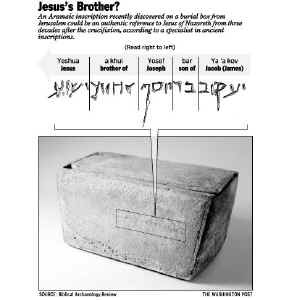 7) Why should we believe that the box labeled "Jude, son of Jesus" is that of Jesus' offspring? Slight problem. There is no other evidence anywhere of Jesus ever being married or having a son. It is far more likely that this is the tomb of some artisan family living outside Jerusalem in the 1st century, and Jude being the the son of another Jesus. First, the 10th box was in fact “blank”, according to the archeologist who discovered and labeled all of the bone boxes. The mysterious “10th” box was in fact not labeled at all! Third, the James ossuary, according to the report of the antiquities dealer that Oded Golan got the ossuary from, said that the ossuary came from Silwan, not Talpiot. It was also found to have dirt in it that matched up with the soil in that particular spot in Jerusalem. To theorize that there was a Jesus family tomb, and yet the one member of Jesus’ family who we know was buried in Jerusalem for a long time did not come out of the ground from that locale contradicts this theory. James “was buried on the spot, by the Sanctuary, and his inscribed stone (stele) is still there by the sanctuary.” (Hist. Eccles. 2.23.18). 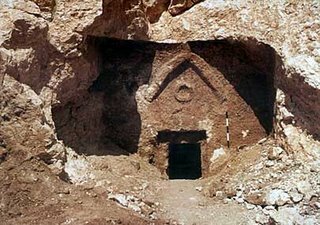 9) What evidence is there for the statistical claim that there are "600 to1" odds that this is the Lost Tomb of Jesus. Their claims about statistics are also wrong. They make apriori assumptions, then includes these in their calculation, which are also in error. There are over 200 instances where you could have had a tomb with Mary, Jesus son of Joseph, and another Marium. Out of a total number of 2625 males, these are the figures for the ten most popular male names among Palestinian Jews. the first figure is the total number of occurrences (from this number, with 2625 as the total for all names, you could calculate percentages), while the second is the number of occurrences specifically on ossuaries. You can see at once that all the names you’re interested were extremely popular. 21% of Jewish women were called Mariamne (Mary). The chances of the people in the ossuaries being the Jesus and Mary Magdalene of the New Testament must be very small indeed. The other point about arriving at the “600 to 1 odds”: this calculation stands or falls on the set of assumptions that the statistician made when he ran the numbers. One of the key assumptions: that the ossuary labeled “Mariamene e Mara” is that of Mary Magdalene. If it is NOT (as we have shown above), then the calculation is way off, and in fact, the odds are this is not the tomb of Jesus family at all - but more than likely the tomb of wealthy artisan family living out side Jerusalem, or the tomb of early Christians who lived during the 1st century. 10) That the DNA evidence proves that “Jesus, son of Joseph”, and “Mariamene e Mara” were a couple. There is no independent DNA control sample to compare to what was garnered from the bones in this tomb. By this I mean that the most the DNA evidence can show is that several of these folks are inter-related. And the most that it can show concerning “Jesus, son of Joseph”, and “Mariamene e Mara” is that they were not related. Which of course does not mean they were a “couple”. To conclude that requires a wild stretch of the imagination..
By all ancient accounts, the tomb of Jesus was empty– even the Jewish and Roman authorities acknowledged this. Now it takes a year for the flesh to desiccate, and then you put the man’s bones in an ossuary. But Jesus’ body was long gone from Joseph of Arimathea’s tomb well before then. Are we really to believe it was moved to another tomb, decayed, and then was put in an ossuary? Its not likely. The introduction of this “discovery” was not done in a professional scholarly way. No peer review was conducted of the claims, no review process. Instead, the Discovery Channel was enlisted, and movie was developed over several months time, in secret. A few so-called “experts” were drafted to give the claims an air of credibility. To complete the show, a web site was developed with a lot of smoke and mirrors, and a companion book and CD were fleshed out. The players were sworn to secrecy, while Cameron and friends planned the big press conference that was timed to occur just before Easter, in concert with the Oscars. Experts who should have been involved were cast aside during this whole debacle – the archeologists who originally discovered the boxes, the Biblical Archeological Society, as well as experts in ancient languages, ossuaries, etc. This is work is not about a search for truth. Its about hype, sensationalism, and a carefully planned grab for money – all at the expense of shamelessly attacking the dearly held beliefs of millions of Christians. An alterative explanation is offered by Richard Bauckham1: “It is incumbent on any historian who wants to dispute a theory about the Jesus tomb to provide some other explanation for the Talpiot tomb. Clearly it is an important tomb, and it may be a Christian one. It would be interesting to know about the Greek inscriptions on the ossuaries or at least in the adjacent tomb which are pictured in the book The Jesus Family Tomb. Since they are in Greek it suggests to me they are not from early Aramaic speaking followers of Jesus, but they could be from later Christian ones, after the profile of who was Christian had broadened considerably with many Gentile Godfearers as converts even within Israel.